In January we celebrated our first dating anniversary, as if no break had ever occurred, by going to Denny’s and exchanging gifts. There was such a security and peace in our relationship. Because our expectations were lying out on the table and we were learning to communicate more efficiently, dating became so much more fun. Much like the winter of the previous year, Herb and I spent the chilly months of 2005 getting to know each other even better and falling more and more in love. It took until around Valentine’s Day until we were both ready to actually verbalize those sacred words. It is so rare for a couple to wait so long to use such a common word like love, but I knew without a doubt, that by the time we said it, we both really meant it. What we didn’t know was that those few winter months would be the calm before the storm. What we didn’t see was that those weeks were God’s gift of normalcy to us. What we didn’t realize is that as we were falling in love, Herb’s body was falling apart. He was weak and tired, and had a perpetual cough. The flu put him in bed for a week on two occasions. There was a constant pile of used tissues overflowing from the trash can in his bedroom. His extreme exhaustion caused him to miss classes and fall behind on his work. And finally, by his third encounter with a week-long couch stay, Herb sought medical help. What we had been witnessing was a very slow kidney rejection. Herb’s transplanted kidney had been hanging on by only a thread for months, and the thread slicer came in the form of pneumonia. For Herb, this was old hat. He handled his sickness with such grace, despite his disappointment. This was the third kidney rejection he’d suffered. He tried his best to put a positive spin on everything and continue to be the rock of our relationship. He stayed in the hospital for a week. The doctors worked out a diagnosis and and we waited to find out about the next step. The words “end stage renal failure,” “dialysis,” and “transplant” were what we dreaded, but exactly what we heard. I hated to see him so fragile in his hospital bed. I just wanted to march out into the hallway, grab the first doctor I could find and tell them to take my kidney, here and now. He left the hospital with a shunt coming out of his neck for hemodialysis (through the blood), plans to move to peritoneal dialysis (through the stomach), and prayers for a transplant. Herb’s brother and sister both volunteered to be tested as potential matches to be living donors, but unfortunately they had their mother’s blood, who was also not a match. Other family members had been exhausted as well – Herb’s first two kidney transplants had come from his father and his aunt. Hemodialysis was an awful nightmare, but it made me thankful that when you are in kidney failure, there are at least treatment options. 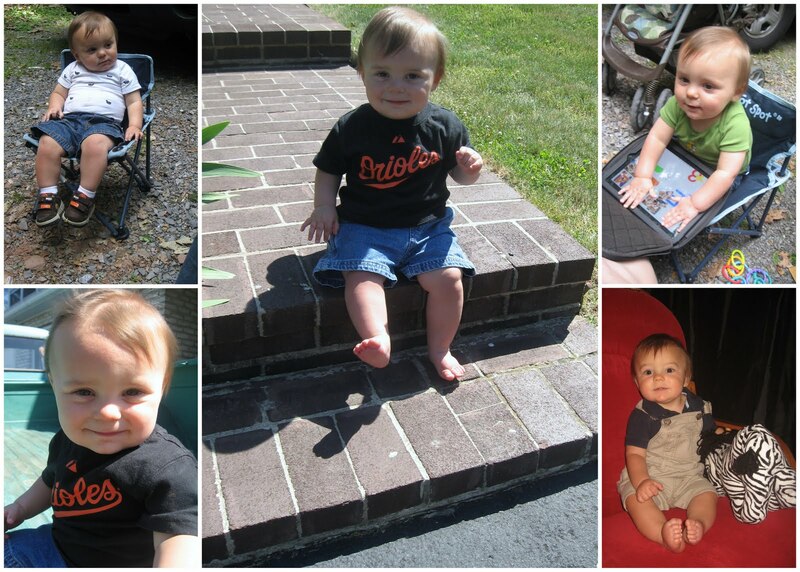 I kept thanking God that Herb was not in heart or lung failure, where his only hope would be a cadaver transplant. Herb went to the transplant center three times a week for three hours at a time. Sometimes I would go visit him, I got to know the dialysis nurses by name, and I looked for recipes that I could cook that were geared towards end stage renal failure. We were a young couple in our twenties, on the verge of happily ever after, suddenly faced with decisions, situations, and emotions that most couples don’t deal with until retirement. Because of the neck shunt, Herb couldn’t shower. He spent months giving himself a sponge bath, and then leaning over the bathtub so I could wash his hair. He lost weight and became a skeleton of the man he was. His exhaustion improved from dialysis, but he was still wiped out after a treatment. Minus the three weeks of sickness in the hospital and on his couch, Herb still managed to finish out that semester. He had to cancel his junior recital, drop a class, and push graduation back a semester, but otherwise finished well. This was the semester that we enjoyed being study partners in physics, where his previous science major came in handy. We had also (foolishly) signed up for an upper level art history class with two of our friends and my brother. When the semester ended, Herb had another procedure done so that he could switch to perotenial dialysis and do it at home. This dialysis took about twice as long to do, and he had to do it every day, rather than three times a week. However, the dialysis could be done over night, while he was sleeping. Herb just had to make sure he was in bed by a certain time and didn’t have to wake up too early so all the liquid would cycle through his system and do the work for his kidney. We made plans to go to the Creation music festival again, but this time would be much different. Herb would have to take his dialysis supplies along, and because the weather was so hot and there was potential for dehydration, he’d have to do it during the day, as well. But Herb was a fighter, and anything he could force his body to do in order to make him feel healthy and normal, he did. Because we're not taking a week long summer beach vacation, Herb doesn't have marching band camp this year, and I am no longer at the mercy of a school schedule, we decided to take a bunch of mini trips sporadically throughout the whole year. We drove all the way from York to Pittsburgh on ROUTE 30. It took two extra hours (six total), but we also stopped several times and it was much more interesting to look at then the turnpike. 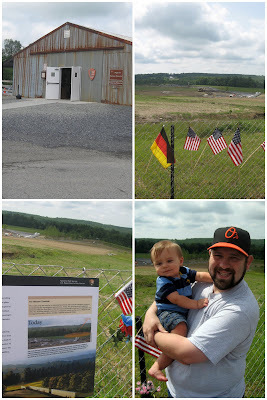 We made one long pit stop at the United 93 temporary memorial. It was heart wrenching to see where the plane wreckage was (although it is cleaned up now) and see the actual victims pictures. The official memorial will open this fall, and we hope to go back and visit then. 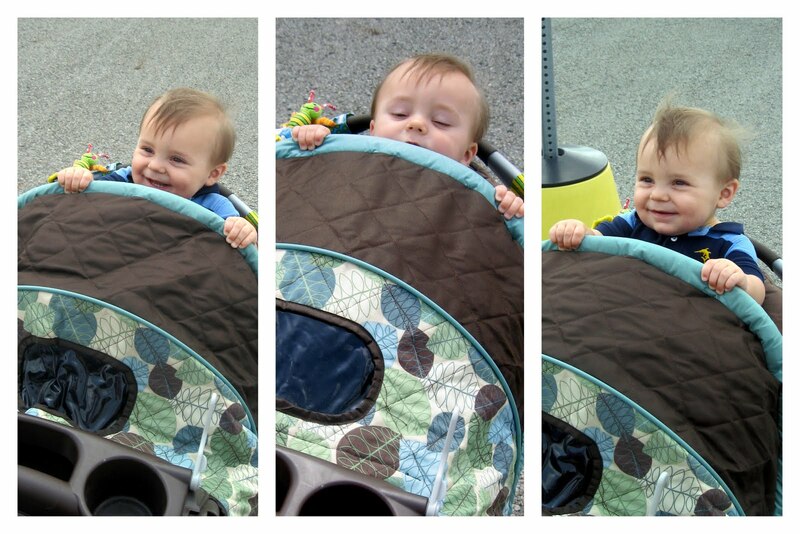 While we were at the memorial, Levi was was cracking us up by peeking out his stroller. Unfortunately, a few days later when he was doing the same thing, he proceeded to go ahead and kind of jump out. On to concrete. And hit his head. But, he's okay, and we've learned our lesson about letting him be unbuckled. Herb and I dropped Levi off at Grandma Ni-Ni's and then high tailed it up to Erie for our date day. This year is our fifth anniversary, so this little getaway was our celebration. We drove around Presque Isle, considered going to the beach there, but decided it was way too cold. 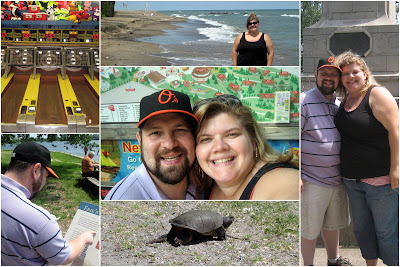 Instead we went to Waldameer Park and the Water World (turns out, not that much warmer). We rounded out the night with dinner and best buy. It was really nice to just be alone, connect, and hold hands! Of course we talked about Levi most of the time we were gone. 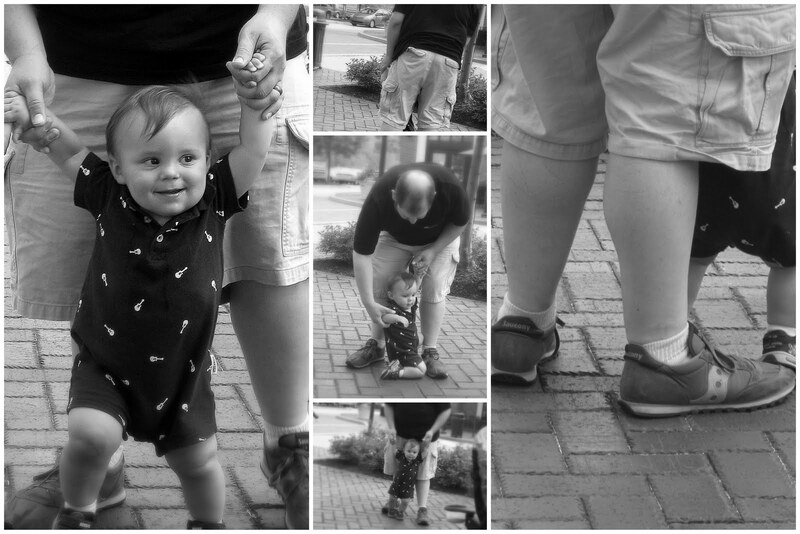 We traveled back to Cranberry to spend the day with Josh, Sarah, Ellie, and Cora. 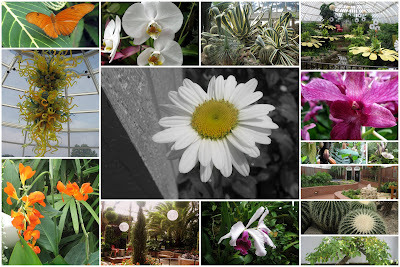 We went to Phipps Conservatory, and the kids were really entertained by the flowers and butterflies! Later, Herb and Josh went to an Orioles game with their step-dad, Ron, and the girls went home to put the kids to bed and watch a LAME movie. After we gave up on the movie, Sarah introduced me to my new favorite TV show on Netflix, "In Plain Sight." On our "way home," we swung by the Pittsburgh Zoo with Sarah and the girls. It was really hot, but the kids had a good time. 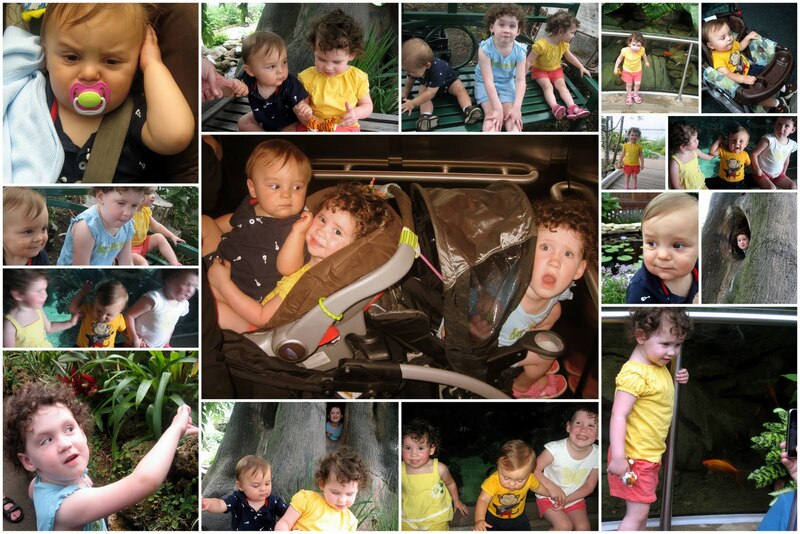 Side note - it's really hard to get a picture of three kids, ages 0-4, where they all look at the camera, but I had fun trying. We stopped at Guitar Center on the way home for Herb. Then, after a recommendation from Kimba, we hunted down Thrift King, a wonderful consignment store. I got a new pair of peep-toe shoes for $1, a basket, a shirt for Levi, and a few CDs for our roadtrip home. Total, $12. All in all, it was a great mini-vacay, done on the cheap, and we got to spend some quality time with our family. The down side is that we have discovered Levi is a complete crib snob, and therefore aren't going to be trying any overnights for a while. P.S. Can you tell my new favorite computer toy? 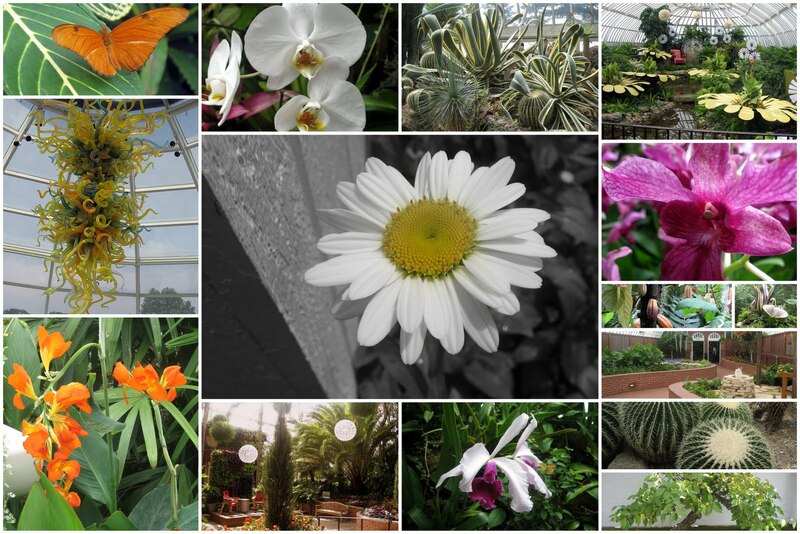 I downloaded Picasa, and was delighted to figure out how to make collages and edit things using Picnik, right in the program. Do yourself a favor and check it out. 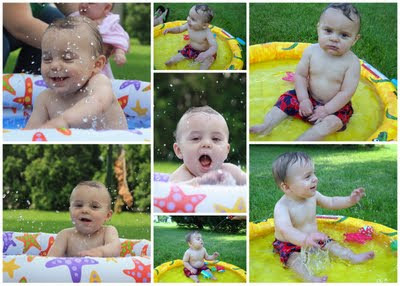 The most free fun you can have with photos! I'll be honest, it was a little weird drudging up the bad feelings of our break up. I like this part MUCH better. Anyway, catch up here (Chapters 1, 2, 3, 4, 5, 6, 7, 8), or read on! I woke up with a grin on my face and a flicker of hope in my heart. I had had the most exciting dream where Herb and I got back together. I couldn’t remember the details, but the feeling of deep satisfaction and joy that comes from being loved by the one you love was still fresh in my mind. Coincidence? Maybe, but I had a feeling that God was trying to get my attention. Yes, Herb had recently told me about the song, “Say Sayonara,” which was the first clue he had given me that maybe we weren’t so over after all. But were we really meant to be together? He had completely broken my heart, and I wasn’t ready to jump back into any relationship that wasn’t exactly where God wanted us to be (and where we both wanted to be too, for that matter). With anticipation and purpose, I took my concerns and requests to the only one who could handle them. “God, I still have feelings for Herb…if it’s your will….please let it be your will…” I begged throughout my day, but couldn’t even vocalize what it was that I actually wanted. A few days later, exactly two months to the day when we broke up, I found myself in Herb’s apartment. Did he invite me over or did I just show up? I have no idea. What movie did we watch? I can’t remember. What I do remember is what began as evening on opposite ends of the couch surrounded by other people, and ended with a kiss. Of course, things were left unsaid. Amusingly enough, the next few days of awkward silence once again fell over Thanksgiving break. Who would have known a year earlier, when we argued in Herb’s car, what this Thanksgiving would look like? In hindsight, I couldn’t believe that in just one year’s time we had dated, fallen in love, fallen apart, and were now considering reconciliation. I spent the holiday in South Carolina, but I begged my dad to drop me off at Herb’s house on our way back through York. It was random, and a little bit of a stretch, but by this point I just needed to see him in the worst way. I arrived at Herb’s house late on Saturday night, slept in the guest room, and the next morning we went to church. At the end of the service, the congregation stood up, held hands, and sang a song. The song ended, people dispersed, and my hand was still be held by Herb’s. He kept it there as we exited the sanctuary and walked to the car. And yet, there was still no talk of “what” we were. The days the followed led into finals week, and Herb accompanied me to the library several times where I worked on a research paper and he studied. Really though, the library time was more about stolen glances and shoulder brushes in the elevator than it was studying or researching. And get back together we did! However, not before we had several more lengthy conversations about what went wrong the first time, how we were each different now, and what our intentions and expectations were this time. to have those mementos which still hang on our tree today.